overview : With the strength of Hercules, the wisdom of Athena, the speed of Mercury and the beauty of Aphrodite, she’s Wonder Woman. Beautiful Amazon princess Wonder Woman travels to 1940s America disguised as Diana Prince, assistant to handsome but trouble-prone Major Steve Trevor. 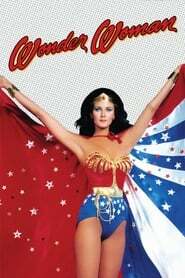 Using her golden belt, which imbues her with astonishing strength, her bullet-deflecting bracelets, a golden lasso that dispels dishonesty and an invisible supersonic plane, Wonder Woman combats evil.